Spotted Jaguar Statue Garden Sculpture. 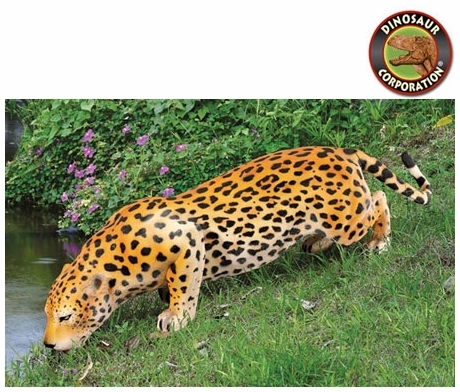 The largest feline in the Western Hemisphere is ready to prowl your grounds as a more than four-foot-long, jaguar sculpture that's a lifelike replica of the near-extinct species. 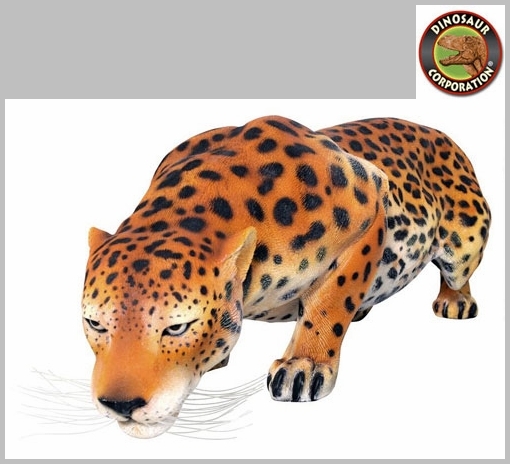 Cast in quality designer resin to capture details such as its muscular haunches and powerful jaw, then hand-painted to detail its spotted coat, our giant jaguar figurine is a stunning centerpiece. * Size: 53" W x 15�" D x 16" H.